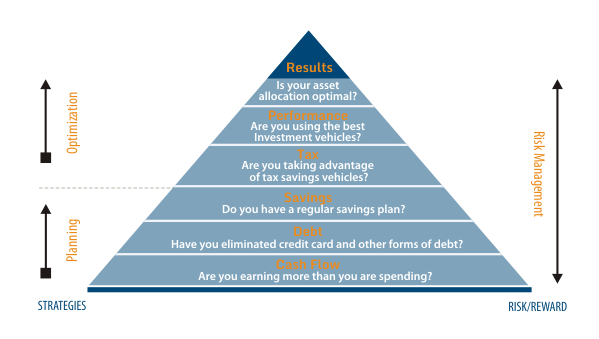 EQM Capital’s wealth management solutions are designed help clients define, manage, and achieve their financial goals. Objectivity – Hiring an outside investment advisor inserts a layer of objectivity between you and your investments so you don’t make emotional or biased decisions. A good investment advisor also identifies risks and unintended bets in your portfolio. Expertise – There are only so many hours in a day. 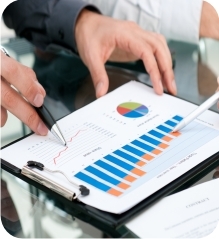 Investment management is a complex and time-consuming task. Utilizing outsourced investment solutions enables you to focus your time and energy on the other important and more enjoyable aspects of your life. Accountability – A good investment advisor asks difficult questions and identifies risks in order to create an actionable plan that keeps you accountable and on track to meet your financial and personal goals. Customized Investment Solutions that are Optimized Based on Your Individual Goals and Priorities. 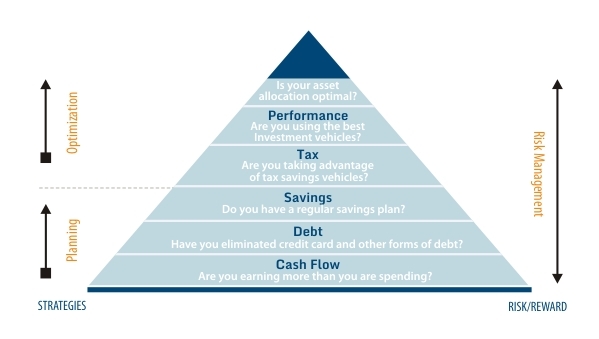 Defining your goals is the first step in planning your financial future. These goals should focus on you, your dreams and your priorities in life. You should establish a set of both short term and long term goals and prioritize them accordingly. As life events occur and goals change, your plan should be updated accordingly. An investment advisor can help you monitor your progress toward achieving your goals and assist you in making the right decisions along the way. Saving enough for retirement, planning for education, protecting against the unexpected, minimizing taxes, developing an estate plan, managing your income and expenses – these are all achievable goals given the right plan and the proper implementation strategies. Information regarding EQM Capital, LLC is provided for informational purposes only and should not by any means be considered investment advice or a recommendation to buy or sell securities.